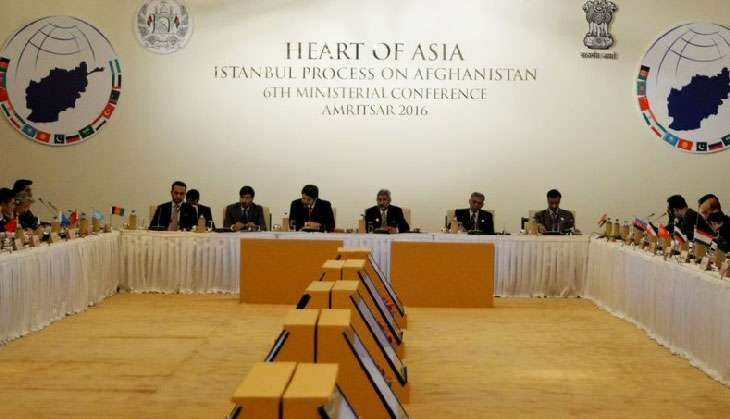 India organised Heart Of Asia Conference-Istanbul Process on 3rd and 4th December. It is an initiative that was started by Turkey and Afghanistan in 2011 to address, discuss, resolve and find solutions for various issues and subjects in Afghanistan and its neighbourhood. The forum encourages all the stakeholders to play constructive role and gives a platform for Afghan and region centric political, economical and security cooperation. The forum has 14 member nations including Afghanistan, India, China, Russia, Iran, Pakistan, Turkmenistan, UAE, Turkey. Etc. And there are 20 supporting nations like USA, UK, Canada, France, Japan, Germany. Etc. Some regional and international organisations are also in supporting role, which includes UN, SAARC, NATO, SCO (Shanghai Cooperation Organisation) and OIC (Organisation Of Islamic Cooperation). The venue that India chose to host the forum was Amritsar. The forum stresses on improving security, connectivity and trade in the region. As the news about prospective Air Cargo service between New Delhi and Kabul was being speculated, India tried to make a direct and very important indication on which country stands in between the improvement of connectivity, trade and security between India and Afghanistan. While India and Afghanistan intend to do direct trade through land route, Pakistan is not allowing the two nations to use its land as transit route. The 2010, Afghanistan-Pakistan transit trade agreement only allows afghan trucks to unload goods at Wagah border crossing. As India and Pakistan do not have transit trade agreement Indian goods are not allowed to pass through Pakistan to Afghanistan. India initiated a Motor Vehicle Agreement in SAARC and except Pakistan rest all the nations of SAARC have agreed to signed the the agreement and half of them i.e. Bangladesh, India, Nepal and Bhutan have already signed the accord. While India has given Pakistan Most Favoured Nation status, Pakistan has not given similar status to India. So from Indian and Afghan perspective it seems that Pakistan does not intent to have cordial trade relations with India nor does it want Afghanistan to do trade with India, the biggest market in the region. The choice of Amritsar as the venue highlights that though India and Afghanistan are very close geographically (Amritsar to Kabul is 619 Km), yet they stand afar due to one nation. India is also developing Chabahar Port in Iran to use as transit point for trade between the two nations. 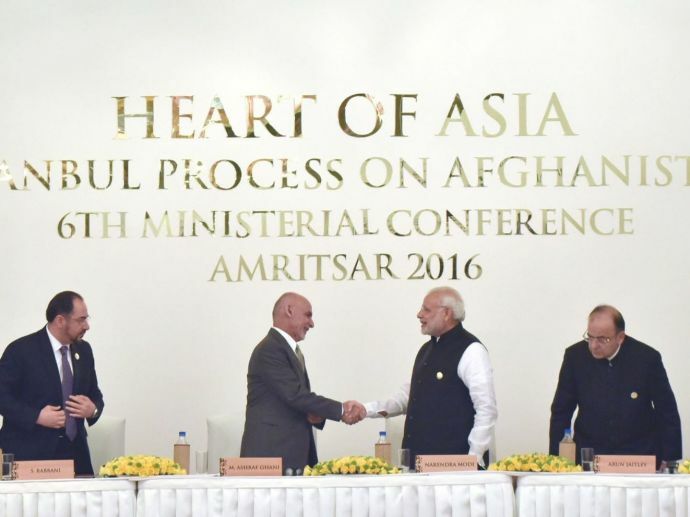 As the conference took place, both Prime Minister Narendra Modi and President Ashraf Ghani highlighted the issue of terrorism and its implications in instability in Afghanistan and the region. While pointing towards Pakistan without naming it, both leaders stressed upon the the need of action against terror networks and those who sponsor them so as to achieve stability in Afghanistan and the region. 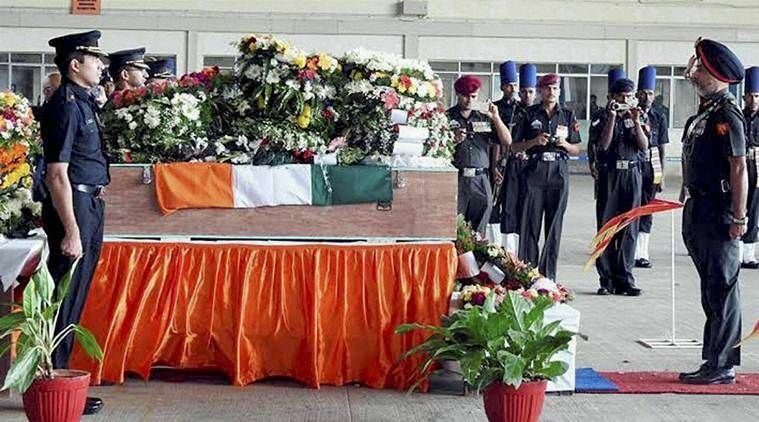 Both India and Afghanistan are facing threat from the terrorist organisations and networks that exist in Pakistan. They accuse Pakistani establishment of supporting these terror outfits to fulfil its nefarious goals. Pakistan covets the Indian state of Jammu and Kashmir as it constantly pushes fidayeens into J&K and gives monetary support to separatist elements to keep a perpetual unrest in the state as the unrest will allow it to rake up the Kashmir bogey at World stage. In case of Afghanistan it supports the Afghan Taliban, and though it claims to support the existing democratically elected Afghan Government but in reality it wants to see Taliban in some form of powerful position in Afghanistan. 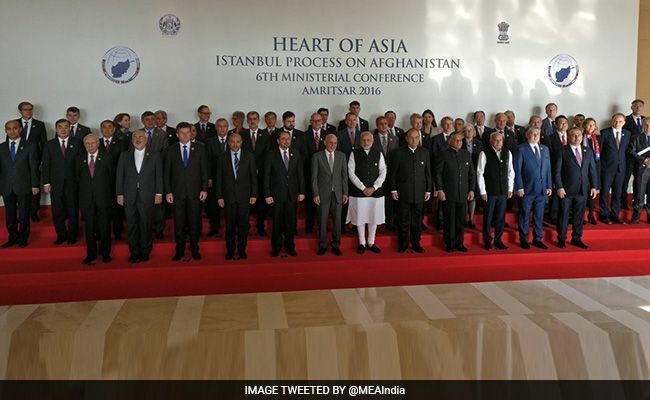 With the recent incidents of attacks on various Indian Army Camps in J&K with the latest one in Nagrota Army Camp which killed 7 army personnel and the revival of the Taliban in Afghanistan, the Heart Of Asia conference highlighted to the world that if Afghanistan is the Heart Of Asia then Pakistan is acting as the biggest blockade to Afghanistan’s and its neighbours’ prosperity and stability.